Good news for business owners! The leading online magazine on the Costa del Sol, i-Marbella.com, is expanding its activity in online marketing, offering different effective ways to reach clients, especially through such social media channels as Facebook, Twitter, and Instagram. 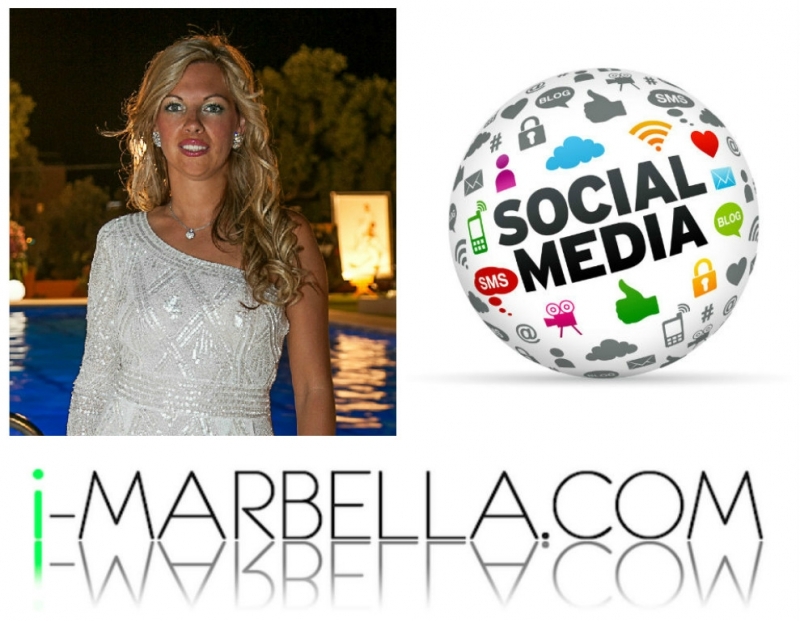 i-Marbella is the most popular online magazine about social life in Marbella and its surrounding areas. Currently, we are going way beyond our daily readers, reaching more and more internet users on the social media channels, and also through our good Google position. 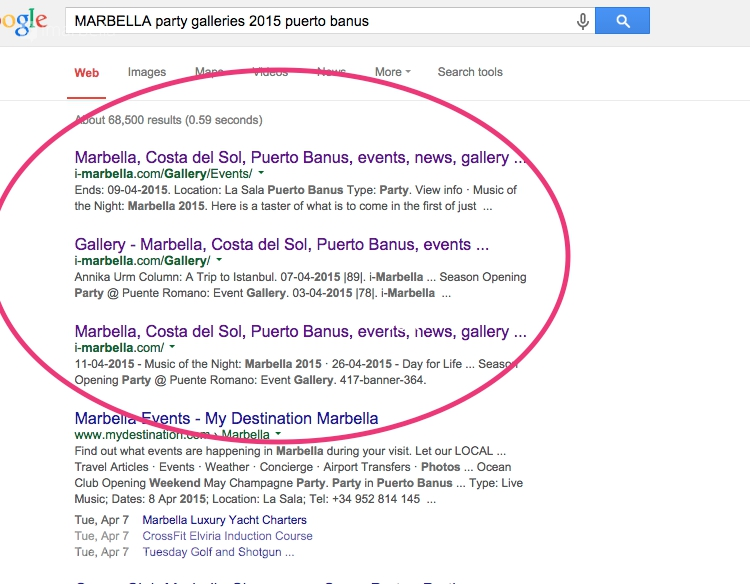 If you google Marbella news, Marbella events, Marbella galleries, or Marbella celebrities, you will see that i-Marbella.com holds the leading positions to appear in Google. 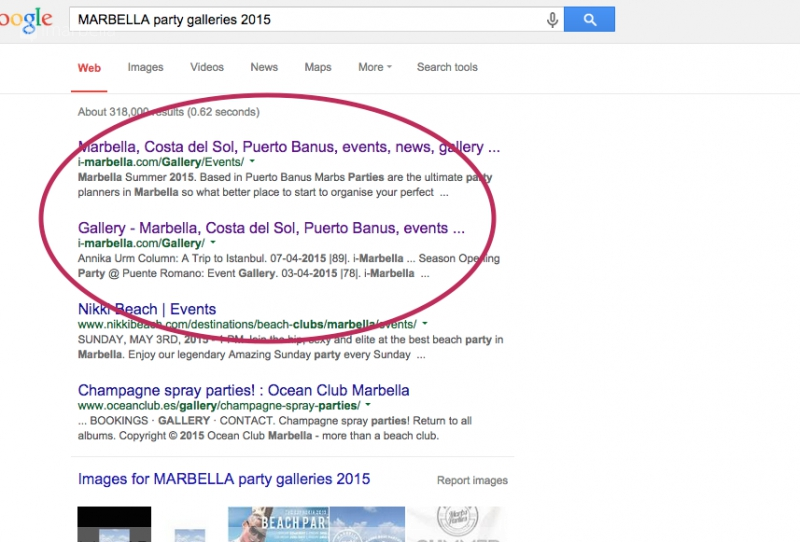 We are also on the first page in Google if you look for many other common keywords that tourists and locals in Marbella usually search for. Depending on our client, we make sure the client's business appears on the first page in Google! NB! Business owners, please be aware that a Facebook page is not actually owned by you, it belongs to Facebook. Should Facebook disappear or lose its popularity, your business page will be gone with it. Even if you post photos on your Facebook page and create content there, it will not be visible in Google. It is definitely worth creating your own website, storing all of the important information. So what exactly is ADVERTISING on i-Marbella.com? - We do active marketing for our clients by publishing different articles, food reviews, news about celebrities, events, upcoming events, promotions, interviews, etc. - We share everything on the social media: Facebook, Twitter, and Instagram to over 100,000 contacts. - We add the right meta keywords to all the articles/stories, so that your business comes out on the first page in Google. - We cover your most important events, or if you have event photos, we can publish them as a gallery. - We also include a side or top banner that will be visible to all our readers every day, also on iPhone and iPad. - Also, your business will be listed in the business directory under the right section (restaurant, clinic, etc.) which we will also share. - ...and all of that in 3 languages -- English, Spanish, and Russian! The prices are very reasonable, starting from €100, so do not hesitate to contact us. We are eager to make you a personal offer. We have been working in Marbella for almost 7 years now, and we have certain clients who renew every year as we do what we promise -- we are fast and we will help your business!